Poly recycled furniture is growing in popularity because it’s durable and low-maintenance. The high-density polyethylene (HDPE) in our poly furniture is designed to look like hardwood, but offers brighter, bolder color options to match your décor. Choosing natural wood doesn’t mean you must sacrifice durability. Southern yellow pine is a strong, versatile species of wood. 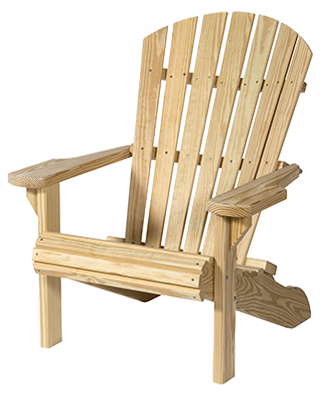 We use Southern yellow pine for all our wooden outdoor furniture because its quality, durability, and availability remains unmatched. Outdoor furniture options for your backyard living spaces. Recycled Poly Outdoor Furniture: While recycling may not have been a buzzword in the 1700s, the concept was fully employed as our ancestors used and reused the few resources they had. Today, common sense stewardship of the earth’s resources still dictates that we should make the most of what we have. 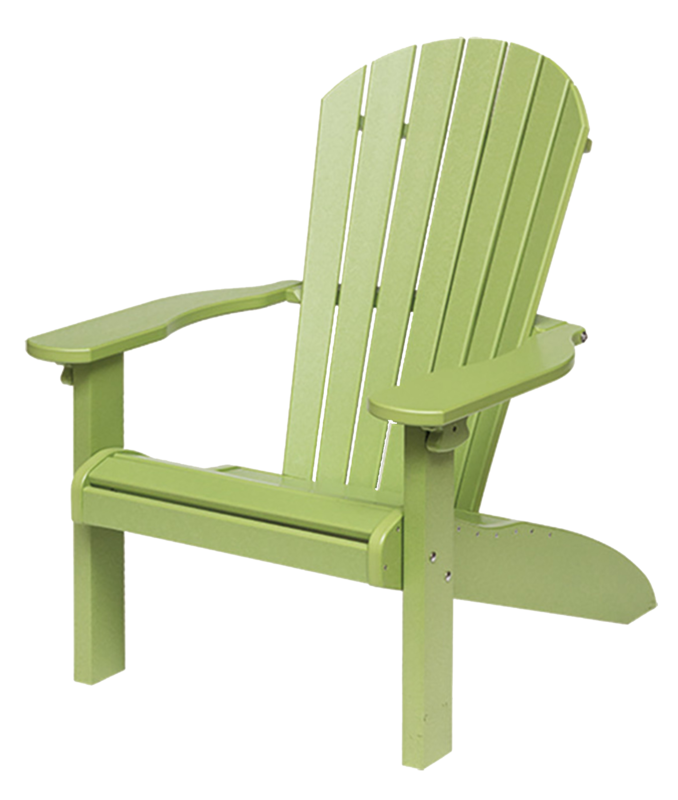 The lumber used in our poly furniture is made from recycled plastics. Manufacturing waste is also recycled. Poly Furniture will last a lifetime while resisting fading, cracking, peeling, or rotting. Designed and manufactured to stand up against harsh outdoor elements, the polywood and stainless steel fasteners remain the same through storms, blizzards, high winds, and blazing sun. Outdoor poly furniture is available in many colors, including 3 wood grain colors. In addition, you can two-tone your furniture by combining any 2 colors of your choice. While poly furniture is the new trend in outdoor furniture, traditional wood will always be here. If you enjoy natural woodgrain patterns and stains or the look of classic paint colors, then wood is for you! Choosing natural wood doesn’t mean you must sacrifice durability. We use Southern yellow pine because it’s durable and its quality remains unmatched. It’s the perfect wood for outdoor products. Choose from classic stains and paints or leave it unfinished. From recycling plastic, to harvesting wood by companies who have aggressive environmental programs in place, to manufacturing the product, to it finally becoming yours… no matter what type of lumber you choose (poly or wood) know that you are making a choice filled with quality and care for both the product and enviroment.